Well, I’m sure poor Maester Aemon didn’t see that coming. You either die a hero, or live long enough to see yourself become the villain, they say. You could have Jon Snow, but you had to come back. 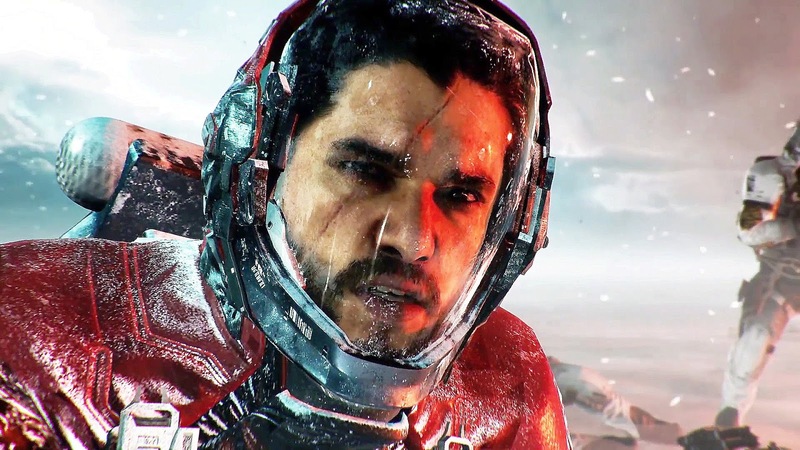 Since Jon Snow is the villain of Call of Duty: Infinite Warfare, we were expecting to see Kit Harington and all his beauty in a new trailer and here it is now. As the main antagonist ‘Salen Kotch’ of the game, Kit Harington has the most innocent face ever but seems like he did a good job. “After a simultaneous surprise attack on UNSA forces in Geneva and the Moon Port Gateway, Lt. Nick Reyes must take the helm of the Retribution, one of Earth’s last remaining warships. In a time of unthinkable adversity, Reyes must lead his trusted crew against the relentless Settlement Defense Front’s plans to dominate all who oppose them.